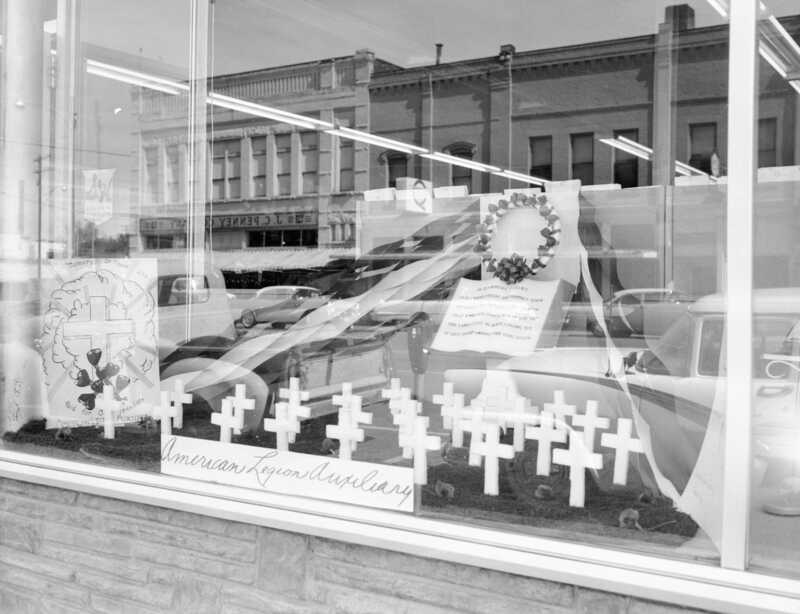 Description A window display depicting Flanders Fields, historic battleground of World War I, can be seen in Ashton's Store window, in advertisement of Poppy Day. Poppy Day is an annual memorial observance in the United States. It offers citizens the opportunity to remember both the nation's war dead and the disabled veterans. The reflection in the window shows the J.C. Penney building across the road.